Get around with ease in a Sixt rent a car in Las Vegas. With our affordable rates and premium fleet of up-to-date vehicles you can continue your journey with more freedom and flexibility. Whether organizing a business trip or family vacation we can match your budget and mobility needs with our luxury and economy Las Vegas car rental options. 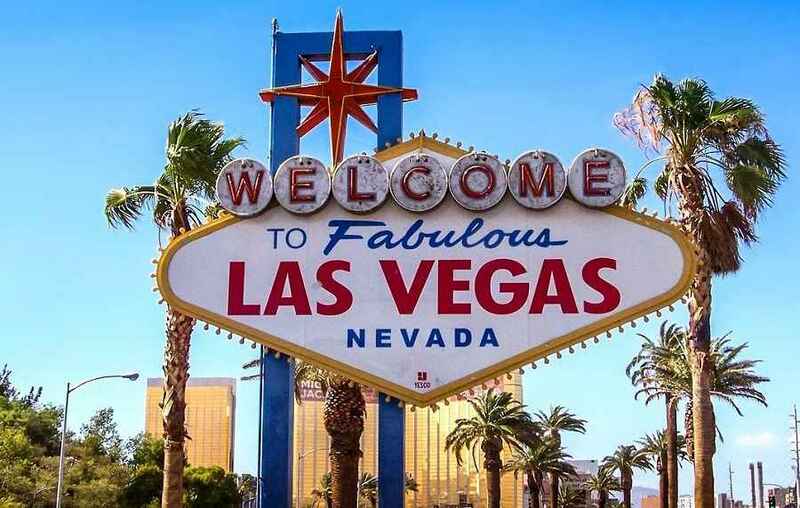 Land in Las Vegas and take off with a top quality vehicle from our Sixt rent a car Las Vegas McCarren Airport branch as well as our Las Vegas Downtown Branch. We can accommodate your journey with our well-stocked fleet that features a diverse range of vehicles from leading manufacturers. Our compact cars and sedans are great for those staying in the city, while an SUV rental provides more room and more adventure. Consider an exotic car rental if celebrating a special occasion, or rent a convertible or sports car for a memorable drive. At our Las Vegas Airport car rental branch use our Express counter to quickly get on the road or our app to reserve the vehicle of your choice 30 minutes before collection. Enjoy more moderate temperatures if you visit Las Vegas in the winter months. Summers are brutal in this desert city, but in winter, temps are on average in the upper 50s to low 60s and can dip to almost freezing at night. This means that winter is more pleasant and you can get better deals on attractions and experience Christmas in the desert. In December the LINQ Promenade is turned into a winter wonderland with holiday decorations. From November until January you can go ice skating at the Cosmopolitan hotel. During the day the Circus Circus hotel and casino has family-friendly circus shows that are absolutely free. Or visit the Mob Museum to learn about how the city is tied to organized crime. Enjoy the mild temperatures by taking a short drive out of the city to see the Hoover Dam with fewer people crowding the view. Winter is the perfect time to rent a convertible and see Las Vegas with the top down. When you rent a car in Las Vegas with Sixt you can tailor the ride to your requirements. Travel lighter and book a child seat, a booster or baby one, so you can leave yours at home, or opt for unlimited mileage so you can travel without restriction. Take turns at the wheel with an additional driver or stay on course with a GPS. Extra coverage is also available in order to help you relax and feel more reassured while on the road. Your rental can be optimized with any combination of add-ons when you make your reservation online or over the phone. Please take note we cannot guarantee you to receive a specific model, but you will receive an equivalent vehicle in the same car category. Staying near the Strip? Why not let Sixt bring your rental car directly to you. For no extra charge we will deliver and collect car rentals to hotels and resorts within three miles of the Las Vegas Strip. This delivery service makes car rental even easier and can save you time and extra travel. Most of the action in Las Vegas is spread out along its most famous street, the Strip. This north-south throughway is lined with the major hotel-casinos, shopping malls and other top destinations. Its north end is marked by the Stratosphere Tower and the Las Vegas McCarran Airport is found at the southern end. To the east is the Las Vegas Convention Center and University of Nevada. Downtown Las Vegas is home to a number fun attractions plus hotels and casinos and the Freemont Street Experience. Here are a few tips on how to best maneuver through the streets and navigate your way around the city. Be aware the Strip is often extremely slow going and on weekends can turn into a literal stand still. The most congested section is the 1.7 miles between Spring Mountain Road/ Sands Avenue to the north and Tropicana Avenue to the south. Many of the major hotel-casinos are located along the busiest stretch of the Strip. Reach them faster on the nearby parallel streets such as Industrial Road and Frank Sinatra Drive to the west and Paradise Road to the east. For longer north-south drives taking I-15 is recommended. Free parking in multi-level structures can be found at almost all major casinos and most offer valet parking as well. Valet car park is often the better choice as searching for an open spot can be very time consuming, especially on weekends when self-parking lots fill up fast. Red Rock Canyon National Conservation Area makes for a great day trip. This dramatic desert landscape is home to amazing rock formations, wildlife, rock-art sites and stunning sandstone cliffs. Take a scenic drive through the canyon or stretch your legs on its trails, overnight stays can also be arranged. Drive to Los Angeles from Las Vegas and en route detour to see the Mojave Desert. Trade the manmade marvels of Vegas for the wonders of nature and go see the likes of the Grand Canyon or Death Valley.